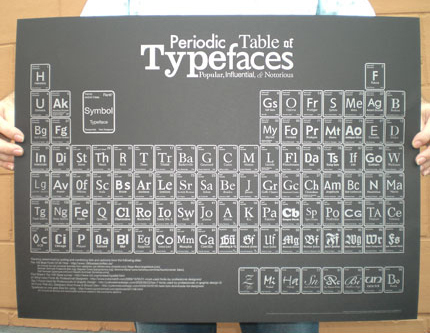 This typographic poster, based on the periodic table, originally kicked around the internet some months back now and proved to be viral in every sense of the word. It literally popped up everywhere, and for good reason. The designer, Camdon Wilde clearly onto a classy winner has now come up with version 2, in a stylish black and silver version. You can head over to http://www.squidspot.com to purchase this awesome poster. My own order already processed. Nice.